ANY TIME OF ANY DAY!! Sewer & Drain Cleaning Services. Serving St. Louis & Surrounding MO Counties. SEWERS, CLOGGED DRAINS, STORM DRAINS! 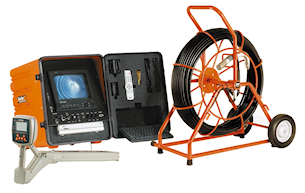 A & J Drain Service has the latest high-tech cameras and equipment for video pipe inspection of sewer lines and underground pipes in St. Louis, MO. We have a variety of cameras to inspect many different pipe sizes. Scoping inspections are ideal for pipes located under driveways, sidewalks or buildings. Let us give you a clear view of the problem before you invest time and money in expensive excavation services. We also have the equipment to locate any areas where the sewer line needs repair. We are fully insured and are a member of the Better Business Bureau. Clogged Drains, Storm Drain Back Ups,Faucet Back Ups, Toilet Back Ups, or Sewer Back Ups. Copyright 2019 A&J Drain Service LLC. All rights reserved.